"Contrary to what most underperformers claim, sales success is not situational. It's not about the market, the product, the company, or the competition. No, it's all about the seller - the individual." - from the Foreword. 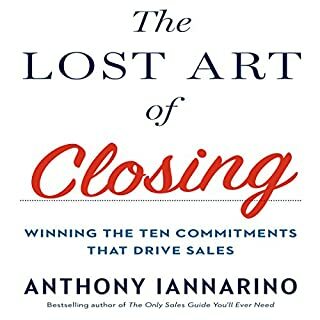 Anthony Iannarino never set out to become a salesman, let alone a sales manager, speaker, coach, or writer of the most prominent blog about the art and science of great selling. He fell into his profession by accident, as a day job while pursuing rock-and-roll stardom. 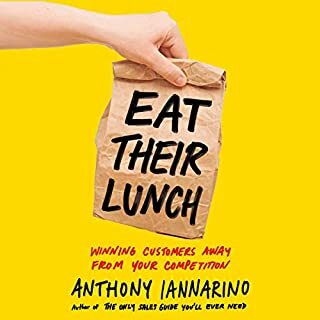 Once he realized he'd never become the next Mick Jagger, Iannarino turned his focus to a question that's been debated for at least a century: Why are a small number of salespeople in any field hugely successful, while the rest are stuck with mediocre results at best? 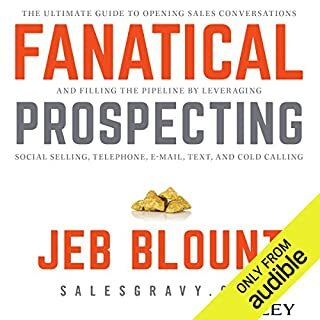 Since then, and for over 25 years, he has read hundreds of books, tested countless strategies, and interviewed dozens of the best salespeople to figure out what sets the extraordinary ones apart from the rest. Now he's boiled down everything he's learned and tested into one convenient audiobook, packed with useful material for everyone from raw rookies to tested veterans. He focuses on the building blocks that all successful sellers, regardless of industry or organization, share: a mind-set of powerful beliefs and a skill-set of key actions. Storytelling: How to create deeper relationships by presenting a story in which the client is the hero and you're their guide. Diagnosing: How to look below the surface to figure out someone else's real challenges and needs. Once you learn Iannarino's core strategies, picking up the specific tactics for your product and customers will be that much easier. 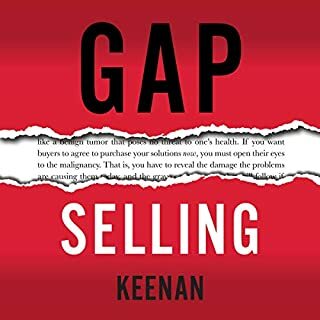 Whether you sell to big companies, small companies, or individual consumers, this is the book you'll turn to again and again for proven wisdom, strategies, and tips that really work. I truly enjoyed this book, lots of great suggestions and great suggestions for reading. I took over 5 pages of notes and there is a website to reference also great for sales people or leaders. After reading and listening to so many sales books, TOSG is one of the most valuable books you can get today. Love that the author also reads his book on the audio version. One of my favorite things about he book is all the recommended reading after every chapter. Great book recommendations. My library is now full with great books. Anthony's forward thinking on sales is impressive and there are a lot of takeaways that will be useful to me in my sales career. I imagine I have a library of possibly 50 sales training books. However, this is one of best. The Only Sales Guide goes back to the basics with so much more punch! I don't care if you are new to sales or a seasoned veteran you can learn something on every page. From mindset to sales tactics, it will put you far ahead of your competitors and teach you how to both give your best. The information is concise and simple to understand. Anthony is correct in saying that effective leadership is crucial to earning new business. Five stars packed with value! Easy read. Anthony packed this book front to back with easy to understand and apply sales tips. You simply can't afford not to read this book. Mike Weinberg's forward was great too! Played it twice. Be sure to check out Anthony's new book that was just released. 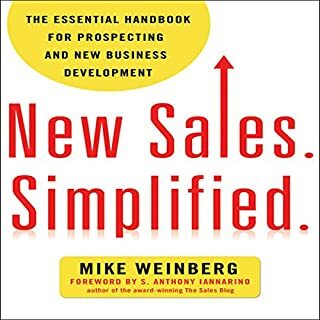 Even for a sales professional like me with 20+ years of experience this book is amazing and eye opening. Highly recommended. A unique twist on common sense! So often sales authors are looking to separate themselves with "gimmick" selling. 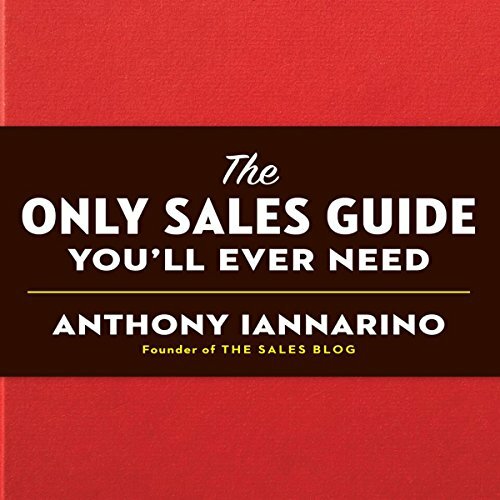 Anthony Iannorino's book, The Only Sales Guide You'll Ever Need, isn't another gimmick. It is just a book that organizes common Sense Selling. It puts the focus on taking care of the client and always thinking of them first. 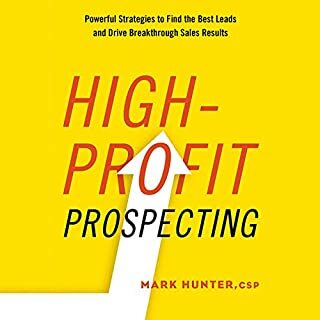 I recommend this book to any sales professional looking to differentiate themselves from everyone else!